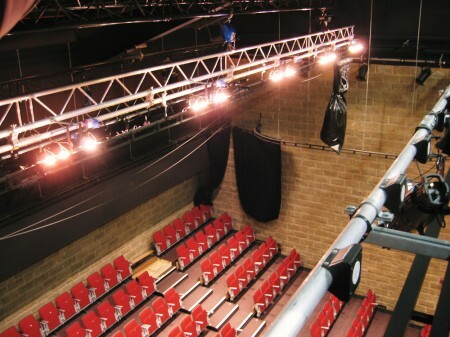 VB Architects was appointed to design a building containing two drama studios to be convertible to a single auditorium for theatre, conference or concert use, and daily school assemblies together with ancillary facilities and teaching space for the English Department. 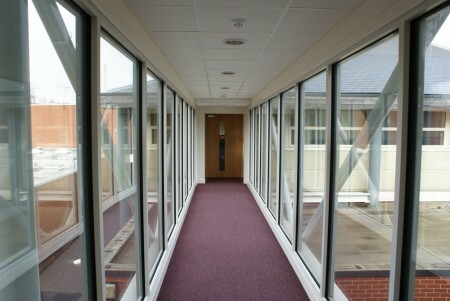 The building is linked by a bridge to the recently designed Sixth Form Centre and together with the Library building forms a trilogy of large space buildings in the school, stepping down the south side of the site. 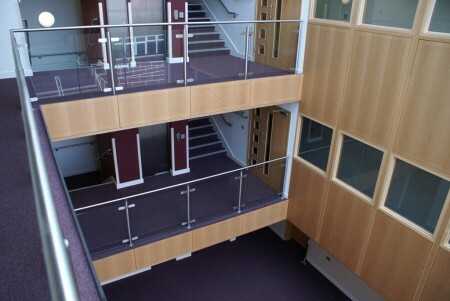 Immediately adjacent to the trio is the expanded Music Department which provides Music College status at the school and the converted School Hall to be used as a Dance Studio. 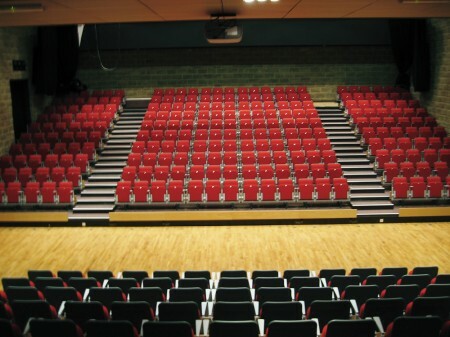 The design allows for the larger theatre space to be divided by full height acoustic screens so that the two drama studios can be used simultaneously for teaching or with the retractable seating for assembly or performance use. 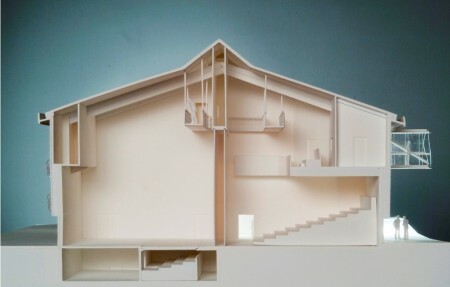 Several layouts for use of the spaces are possible including drama and concert use with the end stage utilizing some lower level seating or alternatively with a central thrust stage. 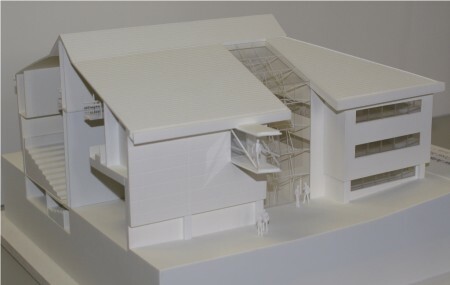 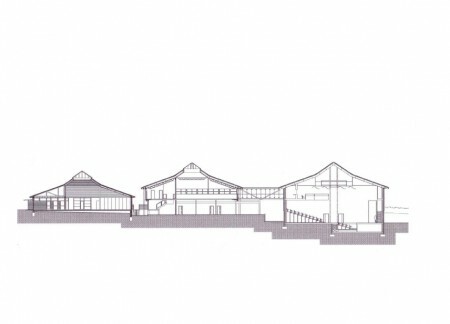 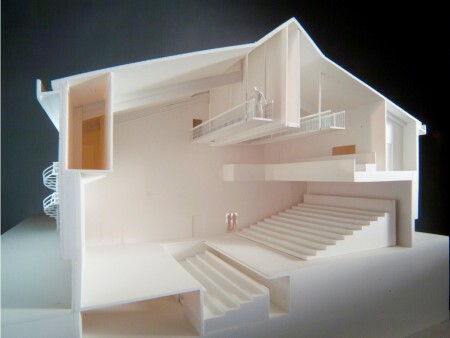 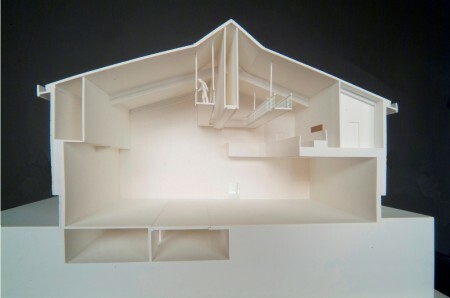 There is a control room and some gallery seating for use with the large space; and lighting galleries are incorporated into the roof structure. 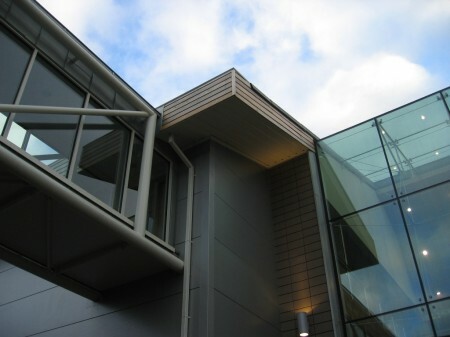 Materials for the exterior of the building are similar to those for the adjacent Sixth Form Centre and Library buildings including facing brickwork, metal and oak cladding and a slate roof which echoes the pyramidal roofs of the adjoining buildings. 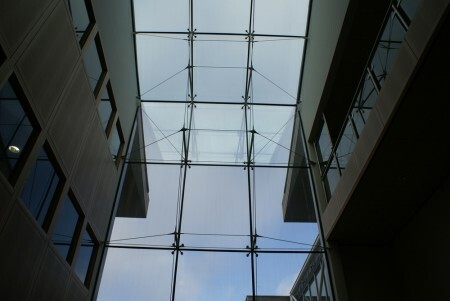 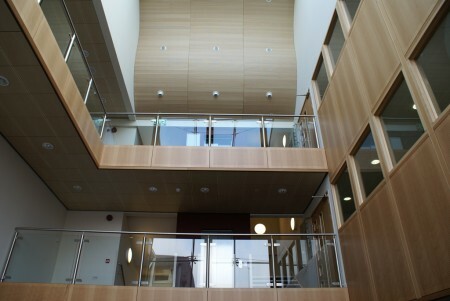 A glazed bridge at second floor level links directly to the Sixth Form Centre common room to allow for combined use e.g. 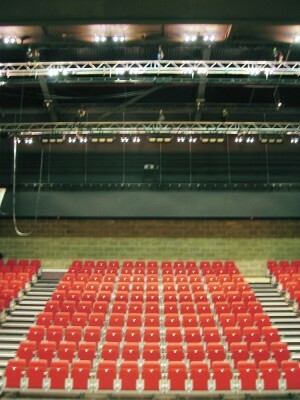 .as a reception or refreshment area for concerts or conferences. 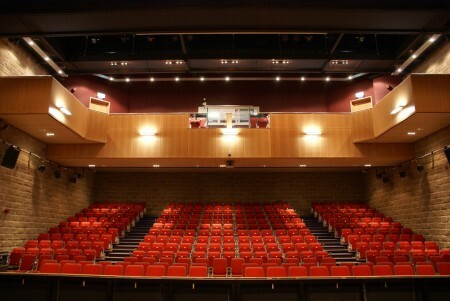 We have also designed drama facilities at Bablake School, Coventry; Alderman Smith School, Nuneaton; Sheldon School, Chippenham; Lavington School, Wiltshire.